Tempe Cottages, Total charm, character, style & function blend to provide a one of a kind stay in the heart of Tempe. This is a 1bd/1bth unit that has been thoughtfully designed and renovated in 2016. Cathedral vaulted ceilings. White kitchen w/ SS appliances, large stainless kitchen sink, and subway tile backsplash. Stunning stained and polished concrete flooring. Subway tile in shower with rainfall shower head & luxury bathroom vanity with storage. Private backyard patio. Covered and assigned parking. Stacked W/D in unit. 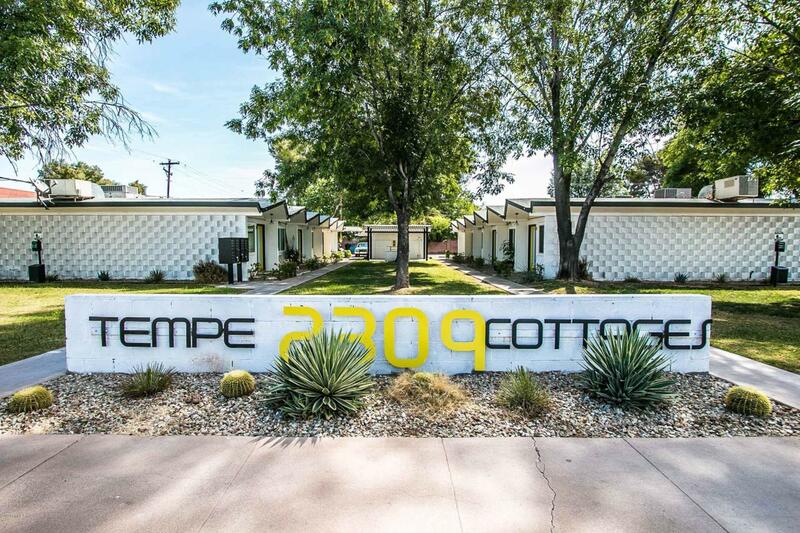 Minutes from ASU Tempe Campus, popular dining and nightlife along Mill Ave. **On the main College Ave bicycle path to ASU. **Since all units were remodeled at the same time with the same work we are showing Unit 17 since Unit 15 is occupied and 15 is available 2 C.